Are Your Parents Reading Your Stories & Updates? The mechanics of writing learning stories is easy enough in platforms like Educa learning story software platform. And you know families love them, including grandparents who often can’t get enough. Plus children will constantly revisit their stories, retelling them to other kids, their parents and their extended family. However, sometimes parents just aren’t as engaged with learning stories as you’d like. And that’s an issue. Developing true partnerships with families needs two-way communication, two-way engagement. Your parents need to read your stories! There is good news though. There are tricks of the trade here, writing and creative devices that make all the difference. With just a few tweaks you can make good stories “amazing” and families will respond with comments and feedback. 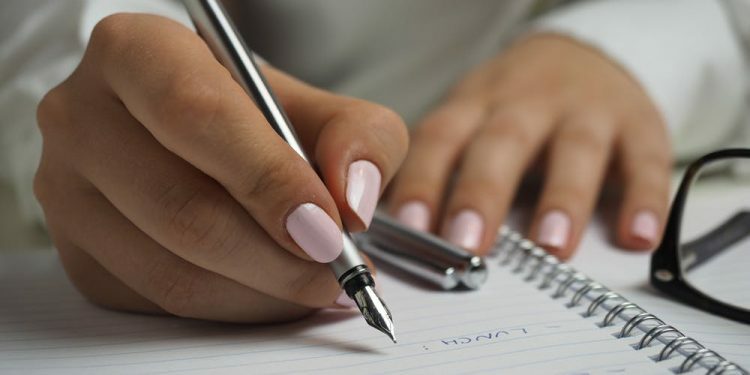 Buckle up for 7 top writing tips to get your stories from now to WOW! Grab their attention. Draw parents in. You want them to read the story. Make them want to read on. A strong title is often short and concise. So put your creative hat on. Examples like: “Gardener Jack”, “Mirror, Mirror on the Wall”, “Julie Block Builder”, “My First day Adventures!”, “Mud Kitchen” work well. For more ideas have a look at Tom Drummond’s website for examples of Learning Stories. His titles include “Joy with the Marble Run” and “Jolene Brushes Paint.” For more on Tom Drummond, read our interview with him here. Remember, when writing learning stories you don’t have to write the title first. Put the pictures and text together and the title might leap off the page at you. Really stuck? Try this book title generator (search “children’s stories”) for some creative sparks. The best learning stories are ones that make parents feel you connect with their child. But how do you make the writing personal? Be specific. It’s no secret that every child is different. 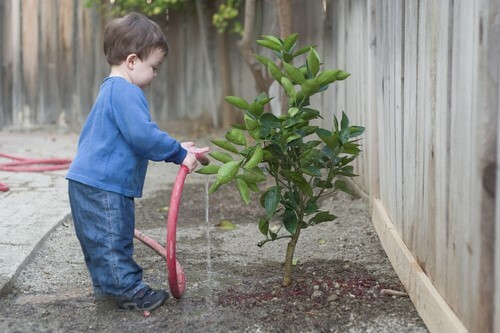 Every child shows interest in different things at different stages. Closely observing the child’s learning is key, and for educators, many forms of observation provide opportunities for stories. Online portfolios, like Educa, allow you to pair a learning story or quick update with pictures that “speak 1000 words”. From our experience, 3 is the optimal number of photos to include in your learning stories. It’s not too few and it’s not overwhelming. In general, if you choose carefully, 3 photos without any words can highlight an entire story. Busy parents look at photos first. It is important to choose good photos. Make sure your photos are not blurred. Most of all make sure the child in the learning story is the child in the pictures! There is nothing more disheartening for a parent seeing a photo, and their child is not clearly visible in it. Remember, not every story needs detailed observations. Educators tell us that the number of stories per child increases when they use Educa, because they are easier to write. So, write a brief day journal story with 3 photos and it will complement your more detailed learning stories and observations. Family feedback often comes with short stories, sometimes because they are more immediate. Every story you write will be different (because every child is different) – but the consistent thing is you writing them. It’s your voice, your passion for education and your enthusiasm and pride in the child’s learning growth being described that makes the story come alive for parents. They love that you love seeing progress, so wear it proudly. Make your language positive and engaging. Learning stories are about what a child is trying to do – It’s the “learning” in the learning story that provides the key. It’s always worth reflecting on which stories parents comment on. Which ones get the most feedback? Ask yourself why – then use that knowledge. Also ask yourself which stories are you most proud of? Revisit your old stories and ask your peers what they think works for them. Building up your own portfolio of stories helps you see strategies that are working for you – and helps you find your “voice” in the stories. 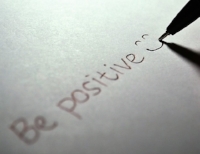 Parents will react to positivity, so be positive. Here’s a list on 100+ positive adjectives to inspire you. Not every learning story you write will be a masterpiece. But, will also not be the last one you ever write. Lack of time is always a consideration for busy early childhood educators. Sending the story to a family who loves seeing how their child spends their days – means they want to like it. Seeing something “now” has impact. Rewriting it a hundred times won’t always make it better. Of course, if there’s time, get one of your peers (or your mentor) to have a quick read (in Educa stories there is an option to require approval). A second reader can offer suggestions for improving your story. Or they can reassure you that your story is amazing! One piece of advice though – and Educa has it right there for you – spellcheck! Asking questions prompts parents for an answer. The questions make parents think about their child’s interests and feel motivated to answer. Asking a question also gives parents the ok to contribute. It’s a huge encouragement for them to give you feedback. 7. Send That Story – Now! Before Educa it was common for many parents of preschool children to receive a hard copy portfolio “book” of their child’s learning stories, photos and artwork at the end of a term/year. It was a great read, but much of the learning happened 3 months ago or longer. Three months is a long time in a short life. Parents who wanted to contribute felt too much time had passed and often the child had moved on to other interests. But if you get the learning stories to the parents while the child’s learning is still current, parents will give feedback more readily. Most parents want to play an active role in their children’s learning, trust us! Finally, stories are made to be read – read it aloud – to yourself, to each other, to the child who the story is about, to their friends…everyone loves a good story. 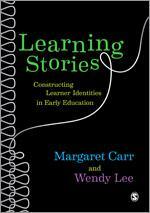 If you’ve read Margaret Carr and Wendy Lee’s seminal book, “Learning Stories”, you will know that learning stories often consist of three key elements. 1. Observation of a child which describes the learning activity. What are the emotions you are observing the child displaying? How do you know that – is it the body language that is going on, or the conversations that are happening during the activity? What are the solving strategies that the child is using? Is the focus of your story the “doing” or the “learning”? Answer these questions honestly based on your relationship with the child. For more reflective questions around writing learning stories, see Documentation – what’s the point? What may seem the most obvious recount of events may not be the “essence” of the learning that happened. It sometimes helps if you’ve made notes – save your draft story in Educa and return to it. It’s amazing how often returning to something with fresh eyes makes all the difference. Online resources can be useful but remember everyone has their own style. “How To Guides” like the one from Aussie Childcare Network provide sample templates. Tom Drummond is another educator who provides examples of learning stories. Other examples of stories like these from QCAA in Australia and these New Zealand exemplars are useful to compare. But all of these are only aids to help you to develop your own writing style as an educator. One thing you can be sure of though. 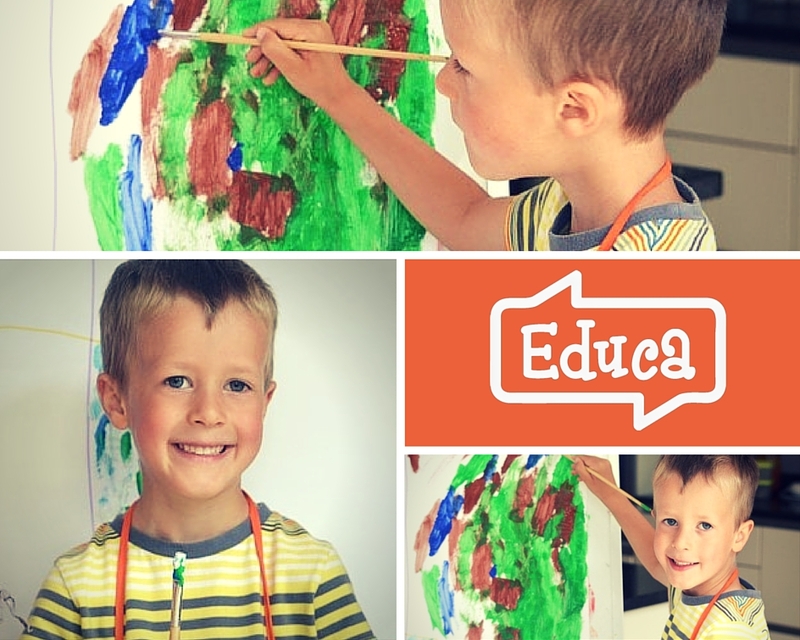 Educa gives you the best kind of blank canvas – to help you create stories that parents and children can ready instantly and then access over and over and over again. Priceless. PS. If you need any help with writing learning stories you could always sign up for one of our webinars here.